Since the initial 1712 surveying of Ye Town on Queen Anne’s Creek and the Crown’s appointment in 1713 of the first Governor, Charles Eden (after whom the town is now named), Chowan County has been producing leaders and saving historical architectural sites. The history you see and learn about in Edenton is real, not reproductions or tall tales. “It is amazing. A 300 year old historic town with homes almost as old and public buildings, still in use, that go back to before the founding of the nation.” ~ Frank C.
Dr. Troy Kickler wrote The King’s Trouble Makers, a easy to read book detailing the role of courageous leaders from Edenton who played pivotal roles in the American Revolution. The book is available at the Penelope Barker Welcome Center book and gift shop. The interview appeared in Carolina Journal Online. 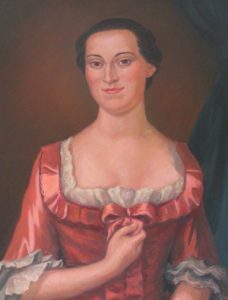 Penelope Barker (1728-1796) was allegedly the richest woman in North Carolina and the leader in 1774 of what came to be known 60 years later as the Edenton Tea Party. She made history by organizing the first political liberation gathering by women in the Colonies. Her home, the Barker House and Welcome Center, is open at the waterfront seven days a week, 10 am until 4 pm. At the time of Barker’s tea party, October 25, 1774, women in the colonies and Europe did NOT engage in political discourse. For many reasons, Hillary Clinton, Condoleezza Rice, Sarah Palin, Margaret Thatcher and every woman who has ever expressed an opinion at a school board or town hall meeting or in the halls of the Congress owes gratitude to Penelope Barker for the history she made in advancing the political rights and freedoms of women. Joseph Hewes (1730-1779) was not only a resident of Edenton and a signer of the Declaration of Independence but a history maker as well. Hewes was a leading merchant in the port town, an activist in the Revolutionary War and the de facto first secretary of the Navy. The history story says he used his fleet of ships to supply Boston with food after the British attempted to starve the town out of existence. The National Park Service has a great story about Hewes during the debate on declaring independence and his role in mentoring John Paul Jones. Take a look. 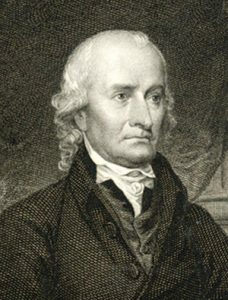 James Iredell, Sr. (1751-1799) of Edenton played a major role in the intellectual debate for independence and then about the structure of the new government. President George Washington made history when he tapped the 38-year old Edenton lawyer to serve on the very first US Supreme Court. Iredell served from 1791 until his death in 1799. Prior to serving on the highest court of the land, he was a successful attorney who had served as a North Carolina Superior Court judge (1777-78) and State Attorney General (1779-81). He played a role for the defense in Bayard v. Singleton (1787), a famous case that introduced the concept of judicial review and had national importance as it laid the foundation for the famous Marbury v. Madison case decided by the US Supreme Court in 1803. Samuel Johnston (1733-1816) born in Scotland but a citizen of Edenton, was one of North Carolina’s and the nation’s leading politicians during the nation’s earliest days. 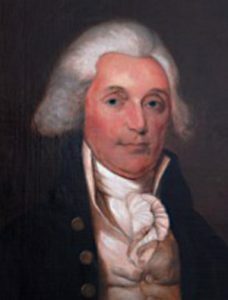 A successful attorney, he held numerous political offices including a long tenure in the General Assembly (1759-75) and three terms as the state’s governor (1787-89). He served as president of the Third and Fourth Provincial Congresses. After the Revolution and as a delegate to the Continental Congress in 1780, he was elected president of that body; but he declined the office the next day. The Chowan County resident was North Carolina’s First Grand Master of the Masons, and he served as a U.S. Senator from 1789 to 1793. He was a Trustee of the University of North Carolina and established Hayes Plantation, adjacent to Edenton, where his son built the manor house that is now one of the most important historical structures in the state and nation. 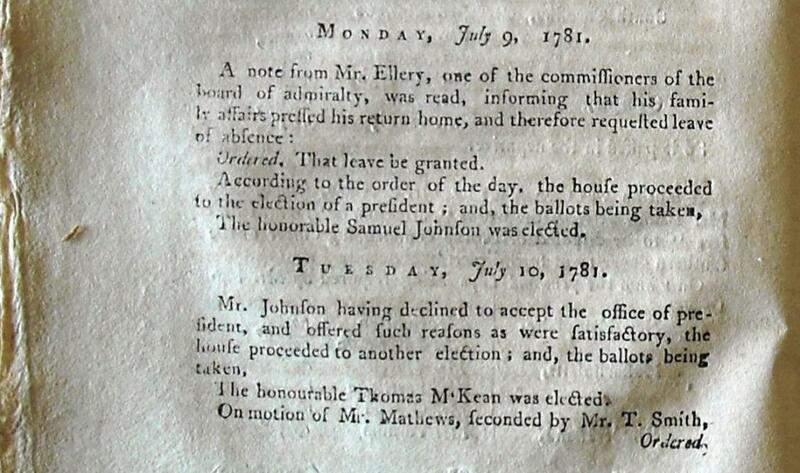 Samuel Johnston made history as you can see. Hugh Williamson (1735–1819) was an internationally known scholar who served as a physician during the revolutionary war. From Edenton, he represented North Carolina at the Constitutional Convention and made history when he signed the proposed Constitution. Not only was he a leader at the Philadelphia convention but his writing and orations were essential to the ratification debates, especially in North Carolina. After North Carolina had voted not to ratify the draft US Constitution, for fear of a lack of protection of personal rights, Williamston stood on the steps of the 1767 Courthouse in Edenton (which stands to this day) to argue successfully to his neighbors that they should change their position and vote to ratify the Constitution, which they and other delegates to the second ratification convention did shortly thereafter. Another leader from Edenton who made history. To learn more about North Carolina critical role in the Revolutionary War, read Dr. Troy Kickler’s new book about five key leaders from Edenton. Order a copy from the Edenton Historical Commission. Key points about Chowan County’s history and historic leaders. An Act of Assembly by the British Crown adopted November 6, 1712 called for the surveying of a new town on Queen Anne’s Creek, which became Edenton. Edenton is the second oldest town in North Carolina. Many houses and the historic courthouse stand on the lots where they were plated 300 years ago. The oldest house in North Carolina, 1718, stands today in Edenton. The Crown appointed Charles Eden, the first colonial Governor of North Carolina, May 18th 1713. Upon his arrival in 1714 he established the first Capital of North Carolina, at the Town on Queen Anne Creek – later renamed Edenton after Gov. Eden’s death in 1722. In 1774 Edenton’s Penelope Barker became one of the most courageous women in American history by organizing 51 ladies to sign their names to a petition saying “NO to taxes on cloth & tea,” and she sent it to the King. This rattled some in England and led to stories about women in the colonies being out of the control of their husbands. (Sixty years later the event was called the “Edenton Tea Party. ”) Her courage is honored by the preservation of the Penelope Barker House, Edenton’s living room.Interestingly, at that other Tea Party in Boston, the men were disguised as native Indians and did not disclose their names. So, the ladies of Edenton showed far more courage by signing their names and sending their petition to the King. 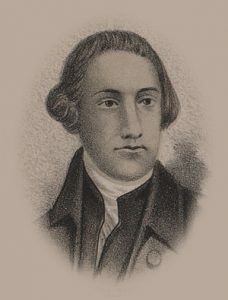 Edentonian Joseph Hewes signed the Declaration of Independence (one of three signers from NC) and served as leader of the colonial committee creating the nation’s first Navy. Hewes is considered the godfather of today’s US Navy. His home in Edenton still exists, but is a private residence. Samuel Johnston, also of Edenton and a Governor of NC led the ratification of the US Constitution by NC once it included the Bill of Rights. Prior to the Bill of Rights being added, North Carolina declined to endorse the proposed Constitution.Johnston also has a unique distinction as one of the few to ever have been elected president and then declined the office. He was elected US President under the Articles of Confederation, but refused the office due to ill health. Some debate his excuse because he lived another 30 years and became North Carolina’s first US Senator under the new Constitution.His plantation at Edenton now houses one of the state’s most famous residences, Hayes Farm, which was build by Johnston’s son. The library of that beautiful home was one of the best in the country at the time. The citizens of North Carolina elected Edenton’s Hugh Williamson to attend the Constitutional Convention in Philadelphia. Williamson cast a deciding vote to form a two legislative chamber government, the compromise we all learned came to be known as the Connecticut Compromise. Williamson signed the proposed US Constitution.Earlier, Williamson was appointed surgeon general of the North Carolina Revolutionary War militia. As an army surgeon, he recommended inoculation against smallpox for civilians and military troops before entering service. 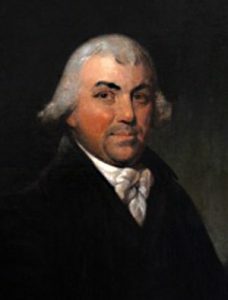 After the adoption of the new Constitution, in 1790, President George Washington appointed Edenton lawyer, James Iredell, Sr. to serve on the very first US Supreme Court. He was only 38 years old when appointed and the Senate only took one day to ratify his nomination. Iredell was a leader in our nation’s fight for Independence and in 1788 led North Carolina to ratify the proposed US Constitution on its second try. His home exists and can be toured at Edenton. It is part of the Historic Edenton State Historic Site.Every lawyer and every high school student studies a famous 1803 US Supreme Court decision known as Marbury vs. Madison, which decided the Supreme Court has the right to rule on the constitutionality of legislative acts. What most folks don’t know is that James Iredell, Sr., of Edenton, North Carolina initially wrote the same conclusion in rulings he made as a circuit court judge 15 years earlier in North Carolina. James Wilson, born in Scotland, signer of the U.S. Constitution and the Declaration of Independence (one of only six men to do so) and a member of that same first US Supreme Court died in Edenton and was buried in the cemetery at Hewes Plantation in Edenton. What might come as a shock is that he is no longer there. President Teddy Roosevelt sent a naval ship to Norfolk and delegates from Pennsylvania came to Edenton by special train where they exhumed Wilson’s body, transported it via Norfolk to Philadelphia where it was reburied at Christ Church. Edenton is proud to be among the few towns or cities, large or small, in the US that can boast forefathers who were signers of the Declaration of independence and the Constitution. During the War Between the States, Edenton developed its own defensive power by melting the church bells, courthouse bell and farm bells to forge the Edenton Bell Battery, which saw service in the war. A popular, widely reprinted song, “Melt the Bells,” inspired many to donate bells for recasting during the war. You can see those cannons, in place defending Edenton today on its beautiful waterfront, adjacent to the Barker House. Edenton’s history as a major colonial port was rudely interrupted in 1795 when a huge storm closed the Roanoke inlet serving Edenton. Earlier records showed Edenton competing with Charleston, Savannah and other ports charting over 800 annual ships of trade with Europe, the West Indies and other US ports between 1771 and 1776. Edenton is home to many historically significant homes and public buildings as authentic examples of over 250 years for architectural progress in America. Much of Edenton was declared a National Historic District including: The 1736 St. Paul’s Episcopal Church; the 1758 Cupola House, a National Historic Landmark; the 1767 Chowan County Courthouse, the 1773 Iredell House and the 1782 Barker House, home of Penelope Barker of Edenton Tea Party fame and many others. What you’ll see are well-maintained properties, not reproductions. Edenton’s 1767 Courthouse, a National Historic Landmark, is the only place in North Carolina outside of Raleigh where the North Carolina Supreme Court and the Legislature can hold official sessions. This is the oldest still in use courthouse in the United States. On May 7-8, 2013, the North Carolina Supreme Court heard oral arguments in the 1767 Courthouse, partially as a way of participating in Edenton’s 300-year celebration. Edenton’s significance in history is easily seen, within one square mile there are more than 170 dwellings, buildings, and churches from the 18th and 19th century that are still in use. Edenton is original to its period, not made to “look like,” not reconstructed, but actual. Edenton is a true preservationist delight. Edenton is the real thing. Even before Edenton’s 300th Birthday, Forbes.com had defined Edenton as “One of America’s Prettiest Towns”; thereby awarding Edenton the honor of being the only 300 year old town in the United States to hold such a distinction. Broad St. is the center of Edenton’s Downtown Historic District. It ends at Edenton Bay on the Albemarle Sound. Parks and vistas of aging Cypress greet the visitor, the site is breathtaking; the Barker House, open year around sits magnificently, surrounded by the beauty of the bay and welcoming visitors. The newest addition to the waterfront is the relocation and restoration of the 1886 Roanoke River Lighthouse, which served until 1941 at the mouth of the Roanoke River.